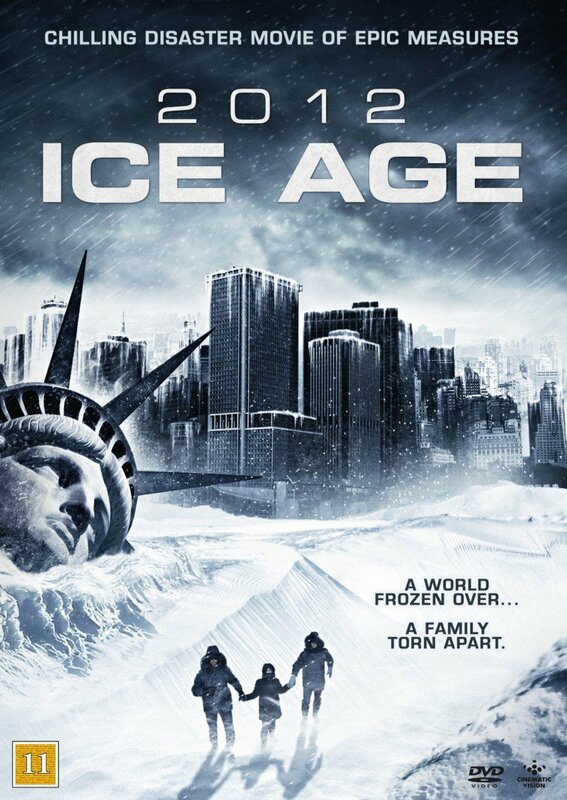 2012: Ice Age DVD and Blu-ray release date was set for June 28, 2011. A volcanic eruption in Iceland breaks off a shelf of glaciers that speed towards the east coast of the United States. Bill Hart works with the scientists who have made this discovery. After dropping his daughter off at the airport, he contacts one of his scientists who reports the catastrophe. The glaciers are 200 miles long and headed swiftly towards Bill and his family. Bill picks up his wife and son. They must head west before the glacier hits. The Air Force tries to detonate the glacier in a string of aerial attacks, but each attempt fails. Bill can't wait for the Air Force to be successful. The glaciers push blizzard conditions and large hail in front of them. Bill must remove his family from the impact zone. Unfortunately, his daughter has landed in New York. Bill must head from Maine to New York to save his daughter and keep his family out of harm's way in the process.